Serving up some of Dallas/Fort Worth's best sous vide eats, Nick Roush is one of our favorite #anovafoodnerds! Constantly cranking out delicious food with the aid of Anova, and sharing his best recipes with all of us! This super-easy make ahead recipe will take dinner to the next level with minimal effort. 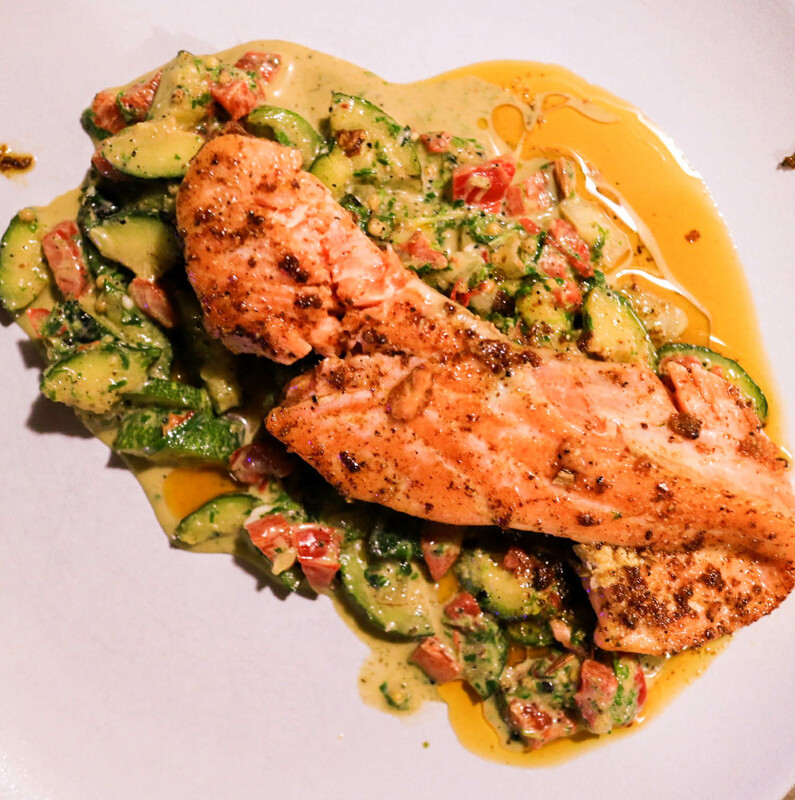 In less than 30 minutes you can have a wicked-delicious salmon dish on the table that's perfectly cooked and mouth-watering. 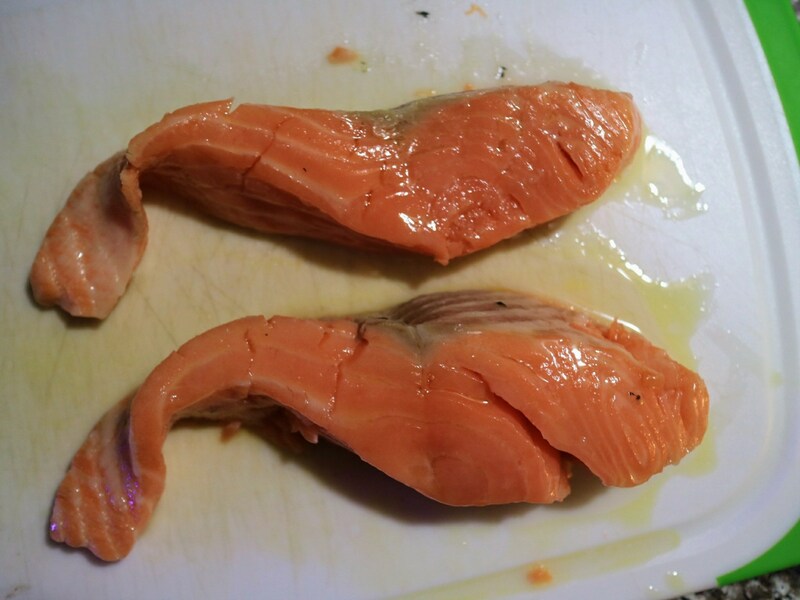 Brine salmon. Combine water, salt, and sugar. 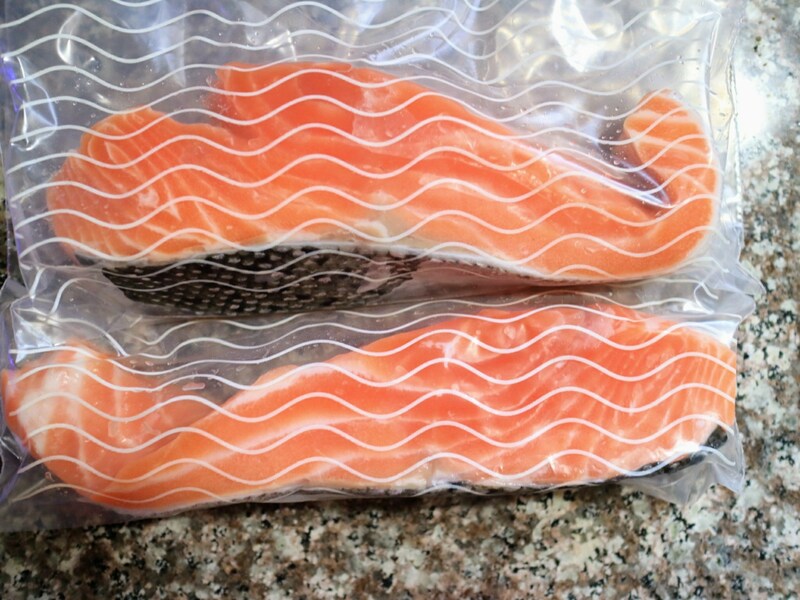 Add salmon to brine, cover, and refrigerate for minimum of 5 hours, and up to 24 hours. Set Anova Sous Vide Precision Cooker to 154°F / 67.8°C and cook 2 eggs for 40 minutes. Shock in ice water, and peel. Bring a pot of water to boil and blanch romaine, basil, mint, and chives for 1 minute, and shock in ice water. 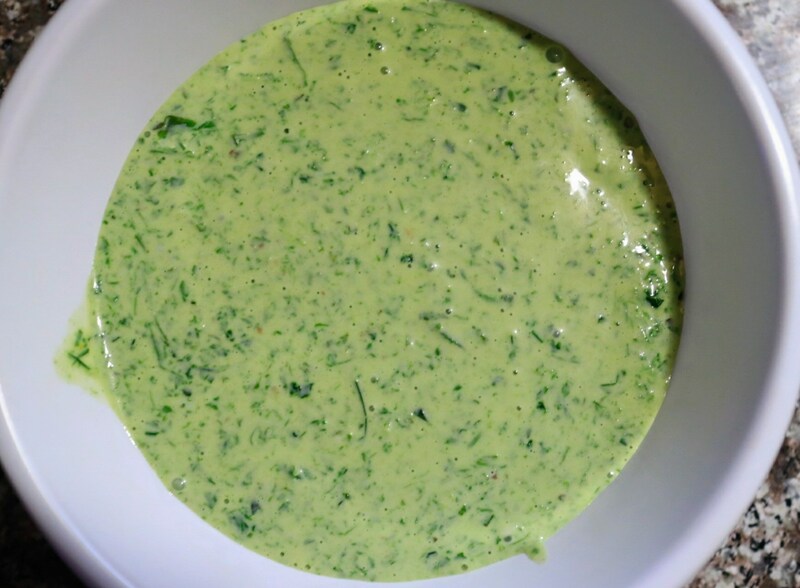 Add eggs, romaine, basil, mint, chives, parmesan cheese, buttermilk, anchovy filets, and lemon juice to blender and blend until smooth. Slowly add olive oil during blending. 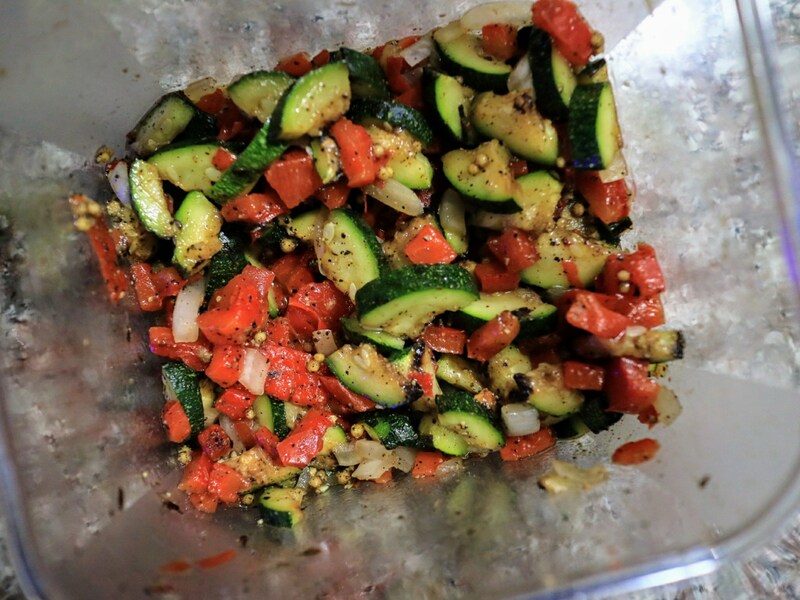 Coat zucchini, onion, and bell pepper with olive oil, salt, and pepper, and grill or roast until nice and browned. Let everything cool down. Dice onion, pepper. Slice zucchini into thin slices. Combine with pickled mustard seeds, salt and pepper, and refrigerate. 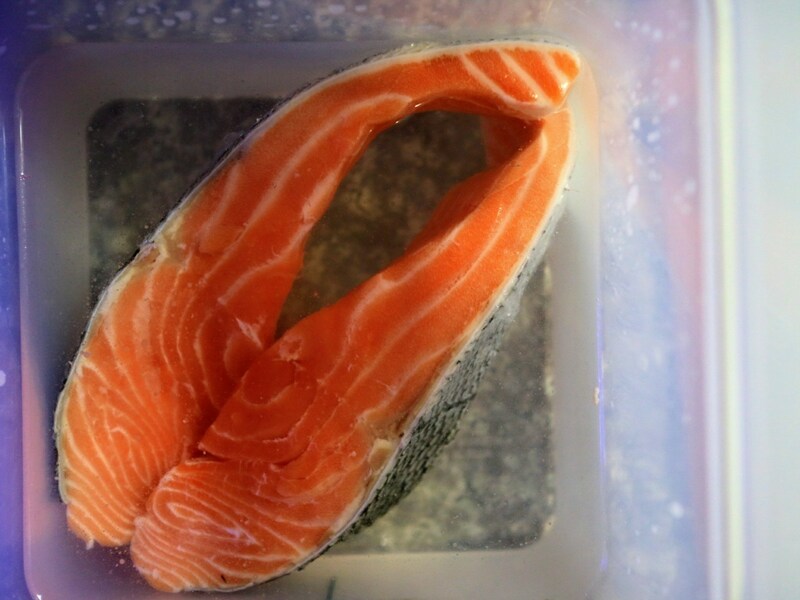 Bag up salmon, add olive oil. Cook for 25 minutes. While the salmon is cooking, assemble salad. Combine grilled veggie salad with 1/3 cup of dressing. Adjust as desired! Get a pan hot over medium-low heat, add butter until it starts to foam. 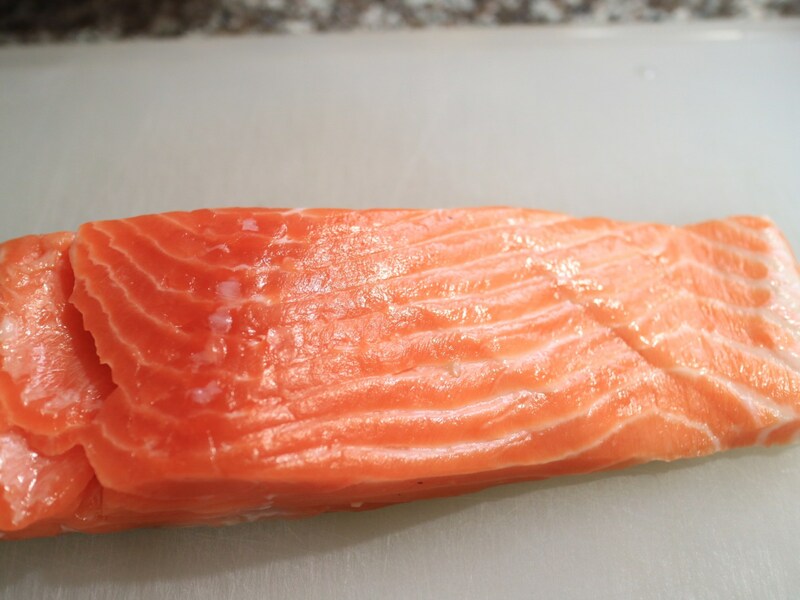 Remove salmon from bag, and gently sear for about 45 seconds skin side down. Plate salad up, and add that delicious buttery salmon right on top. For an added flavor punch, drizzle the butter from the pan over the top, and devour!